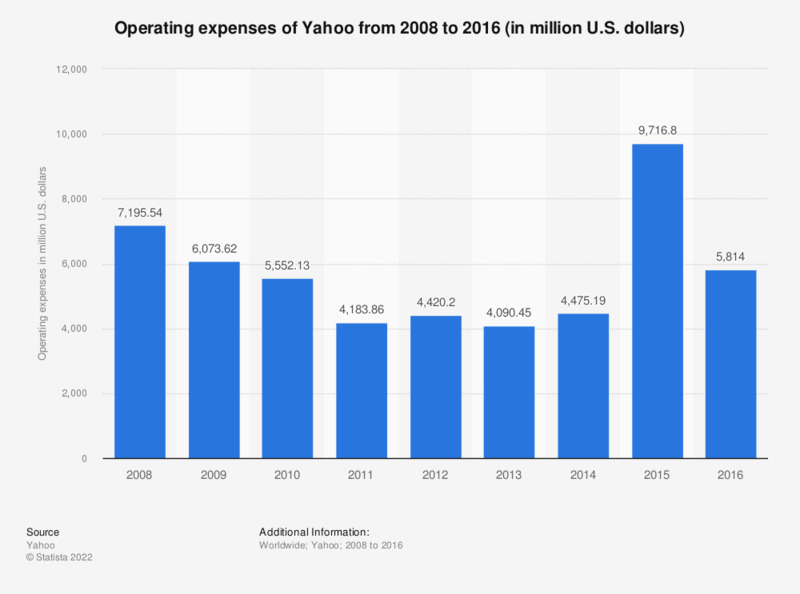 The statistic shows the annual operating expenses of Yahoo during the fiscal years 2008 to 2016. In 2016, the California-based company's operating expenses amounted to 5.8 billion U.S. dollars, a decrease from the 9.7 billion U.S. dollars in 2015. Which e-mail provider do you use? How do you search for specific information on a product that you want to buy?